Once a vibrant part of American culture, nearly 5000 drive-ins once dotted the nation from big cities to small towns, but today less than 400 remain. In a nation that loves cars and movies, why haven’t they survived? 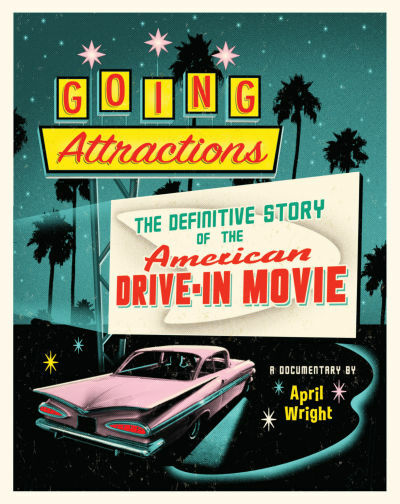 GOING ATTRACTIONS examines the drive-in theatre as an integral part of American culture from its invention in 1933, to its peak in the late 50s, to the rapid decline in the 70s and 80s, through the recent resurgence. By looking at the drive-in, we see the story of changing American culture and family over the last 60 years.